Do you want to develop and broaden your teaching skills? Would you benefit from a bursary from the Nannie Jamieson Nutshell Fund? The purpose of the Nannie Jamieson Nutshell Fund is to award bursaries enabling ESTA (UK) members to develop and broaden their teaching skills. Bursaries are awarded to enable established teachers to take a limited number of one-to-one private lessons in ESTA’s Play Better, Teach Better programme. What has the Nannie Jamieson Nutshell Fund achieved? Nutshell bursaries have been provided since 1990. In the last 13 years alone, a total of 110 bursaries amounting to over £30,000 have been awarded. For further information contact bursary@estastrings.org.uk. The Nannie Jamieson Nutshell Fund is generously supported by Stentor, Pirastro, Thomastik-Infeld, Partplay, Barenreiter, Jargar and Universal Edition. What inspired the Nannie Jamieson Nutshell Fund? The Nannie Jamieson Nutshell Fund was launched by Yehudi Menuhin in 1990 to honour the memory of Nannie Jamieson who was the first Organising Secretary of ESTA (UK). For many years she was the viola player in the Robert Masters Piano Quartet before becoming Professor of Viola at the Guildhall School of Music and Drama. She also taught at Chetham’s School, Manchester and Homerton College, Cambridge. She helped her students to obtain wide experience of teaching by encouraging them to attend courses here and abroad. She often paid the fees out of her own pocket and the Nutshell Fund continues this aspect of her work. In 1981, her outstanding work was more widely recognised when she was awarded an MBE for services to music. Teaching was Nannie’s passion. 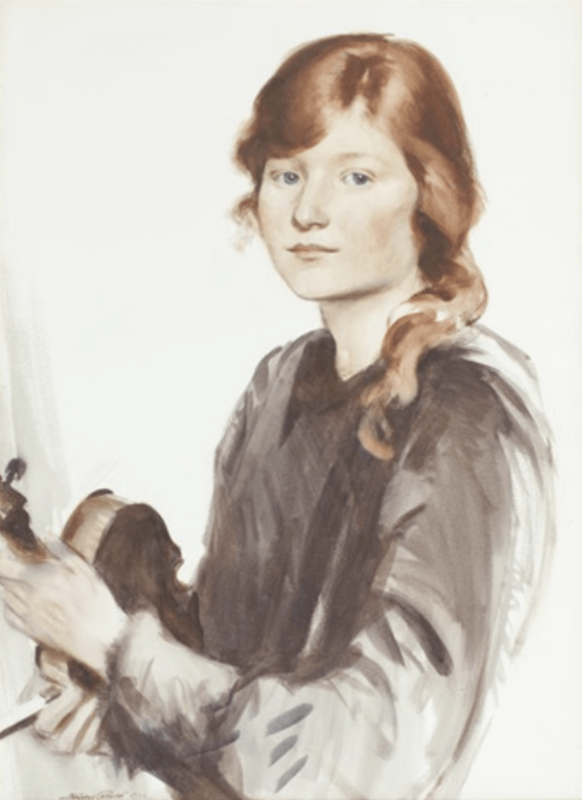 The name of the fund was adopted from the title of a demonstration lecture, developed by Nannie, which covered a great deal of the basics of violin and viola playing. She called it Technique in a Nutshell. Later, she documented her views in an ESTA publication of the same name. The bursaries were funded from initial contributions of £30,000, collected shortly after Nannie’s death in 1990. Since then, the assets of the Nutshell Fund have grown through specific fund raising activities and generous donations. More recently, there has been corporate sponsorship which has allowed many more bursaries to be awarded. ESTA (UK) graciously acknowledges the considerable assistance recently provided by Thomastik Infeld Vienna, Wittner and Jargar. The ESTA Bursary Committee, which administers the NJNF, is always delighted to receive further donations to help more and more ESTA members develop and broaden their teaching skills. In 2003, the committee of the Nannie Jamieson Nutshell Fund published an appreciation of her life and work. The booklet, ‘The Red Hot Magnet’, was aptly named from a phrase borrowed from one of Nannie’s exercises for the left hand. Copies of the booklet may be obtained from bursary@estastrings.org.uk. The high respect which Nannie earned from everyone is clearly apparent in the articles from all of its contributors. Here are just a few.